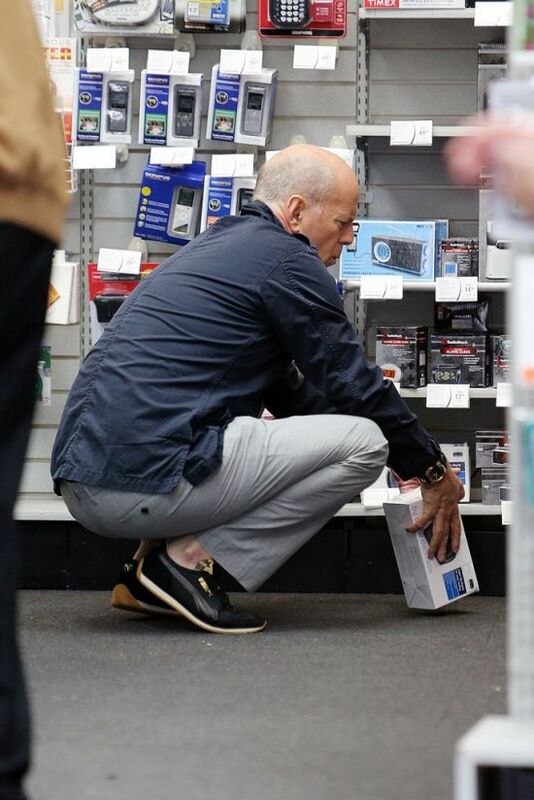 Bruce Willis was seen shopping for an alarm clock in a LA store, which is a strange item to buy since most people now use their mobile phones. He left the shop with three models that he liked after deliberating for a long time over the display. What does it mean? I'm so happy I'm not a celebrity! They can't even shop for stuff without being hunted. And this is important because...? 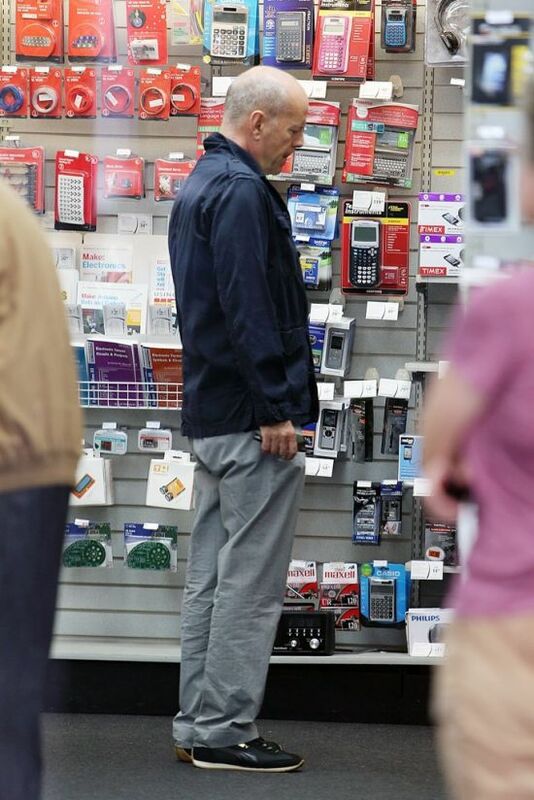 Bruce Willis is a strange man.... because? It's Because he is Greedy and Lazy! He is the double of my cousin.